To investigate the effects of Coriaria Lactone (CL), an epileptogenic substance, on intracellular levels of calcium ([Ca2+]i) and physiological properties of voltage-gated calcium channels (VGCCs). 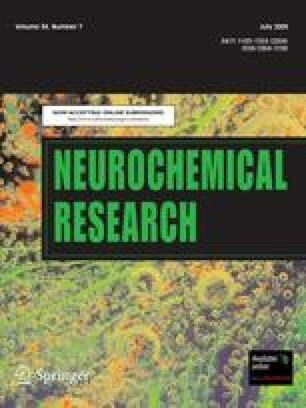 Ratiometric calcium imaging using Fura Red and whole-cell voltage patch-clamp technique were explored on freshly isolated rat hippocampal neurons exposed to CL. Coriaria Lactone increased [Ca2+]i from 118 ± 21 to 440 ± 35 nM; VGCCs and calcium influx through NMDA receptor served as the main routes of entry. Coriaria Lactone could enhance both Low voltage activated (LVA) and High voltage activated calcium currents in a concentration-dependent way, and its effect on LVA current was more potent (about 60%). The increased calcium currents were accompanied by the shift of voltage-dependent steady-state inactivation to more positive potentials. These effects of CL, especially its impact on LVA current, could activate different calcium-dependent signaling pathways, and influence cellular excitable properties as well, which might play an important role in CL’s epileptogenic process. Q. Zhang and X. Lai contributed equally to this article. The authors would like to thank Dr. Zhenwei Liu and Dr. Christian Lohr for their kind help and critical suggestions during this research effort, and Mr. Shenghua Su, Mr. Chaoliang Zhang, Mr. Qian Hu and Mr. Xuelin Zhao, Dr. Zhiping Yao for technical assistance.